Last night my dear friend Hillary made a quick comment that put me in mind of the idea of things that LOOK like cartoons, but aren’t actually drawn figures. I’m traveling this week, so I can’t keep up with the comics, but I love that idea of living cartoons. 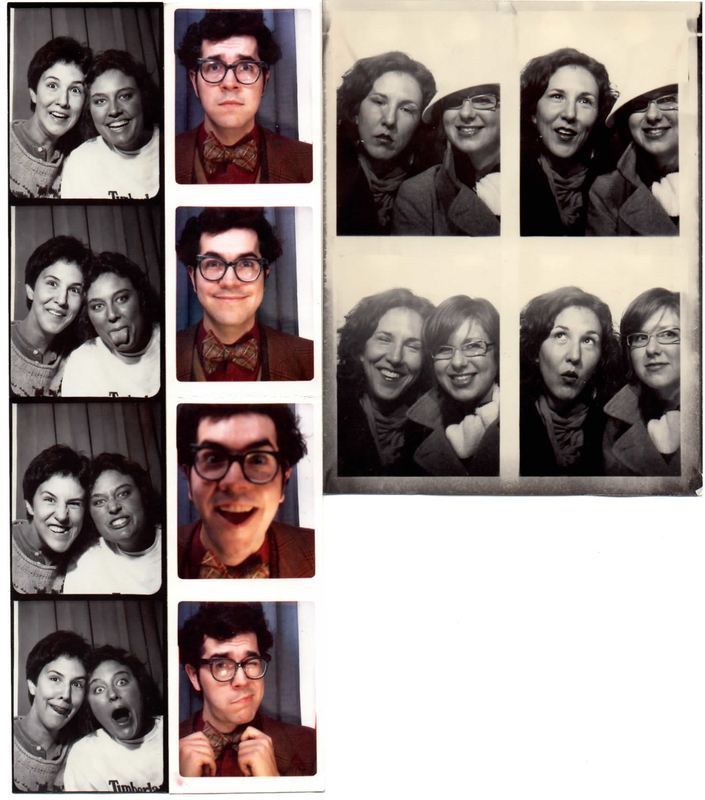 Standing in front of my fridge this morning I saw my collection of photo booth photos and realized the fit the bill. hee!! ❤ ❤ ❤ !!! !! !! ! !